Grgich Hills Estate is an iconic Napa Valley winery, consistently producing world-class wines. Committed to natural wine growing and sustainability, they farm five certified organic estate vineyards without artificial pesticides or herbicides, rely on wild yeast fermentation and use their passion and art to handcraft food-friendly, balanced and elegant wines. Thursday, June 28th – 6:30 pm on the patio. Firenze Trattoria is proud to welcome Bell Wine Cellars on April 12, 2018. All five courses will offer a pairing of exceptional wine and authentic housemade Tuscan cuisine. Bell Wine Cellars is committed to handcrafting limited edition bottlings of extraordinary wines that reflect the terroir of their vineyards & the care and passion of their growers. 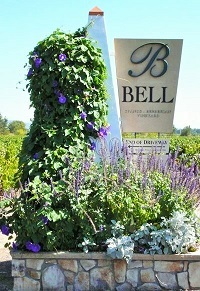 Learn more about Bell Wine Cellars here. Make your reservation today by calling us at (760) 944-9000. $85 per person. Come in for your favorites and enjoy the regular menu up until 5:45. 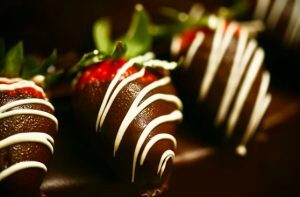 Or celebrate the special occasion and have our prix fixe Valentine’s Day menu, available starting at 3pm. Firenze is excited to announce our next wine dinner and pairing menu. Coming up on January 25th, 2018 at 6pm. This wine dinner is next in a series of foodie experiences, all featuring authentic Tuscan cuisine coupled with tantalizing wine tasting. We are proud to announce that our January dinner will feature the internationally recognized Flowers Vineyard & Winery. Learn More about Flowers Vineyard & Winery.